MP3-Kit7-W is a combo kit. 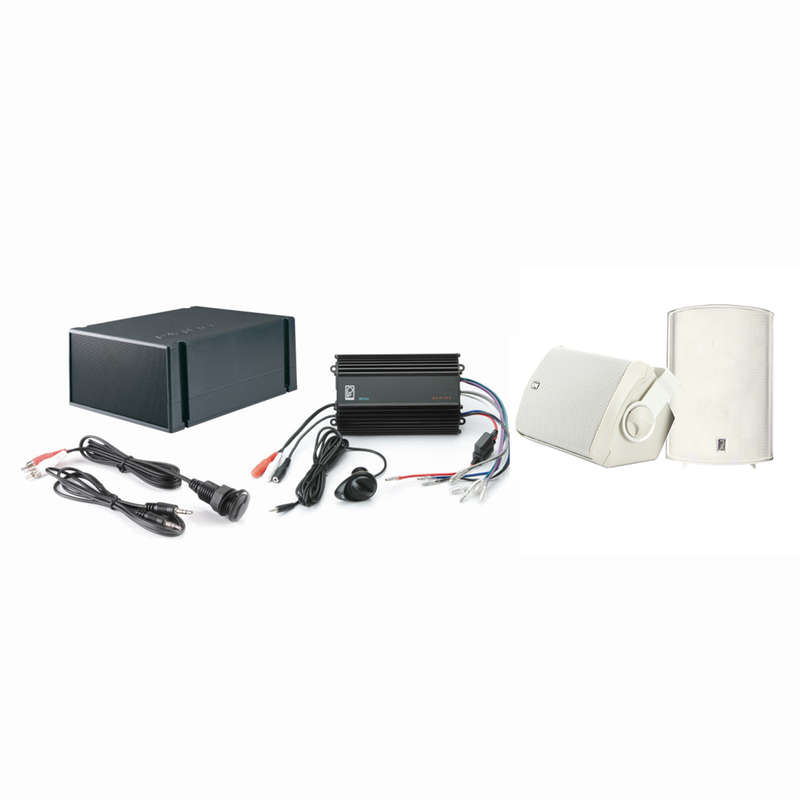 The kit includes ME-60 120W waterproof amplifier with separate panel mount waterproof volume control knob, IC3.5-PM panel mount 3.5mm MP3 adapter for iPod® or other MP3 player, a pair of MA7500 box waterproof speaker and MS55 box subwoofer. MP3-Kit7-W provides the ability to have stereo sound on small watercraft such as Jet Skis, inflatable's or tenders. Also a perfect solution for off road vehicles, motorcycles, ATV's and golf carts. Easily installed where space is a premium. The ME-60 amplifier can be mounted underneath a seat or inside the boat's structure. The IC3.5-PM MP3 adapter and Volume Control can be mounted on the dash or inside the stowage compartment. This provides a convenient input for portable MP3 or CD players. And with the included PolyPlanar Waterproof Speakers and subwoofer, you'll have crisp, clear stereo sound on the go!